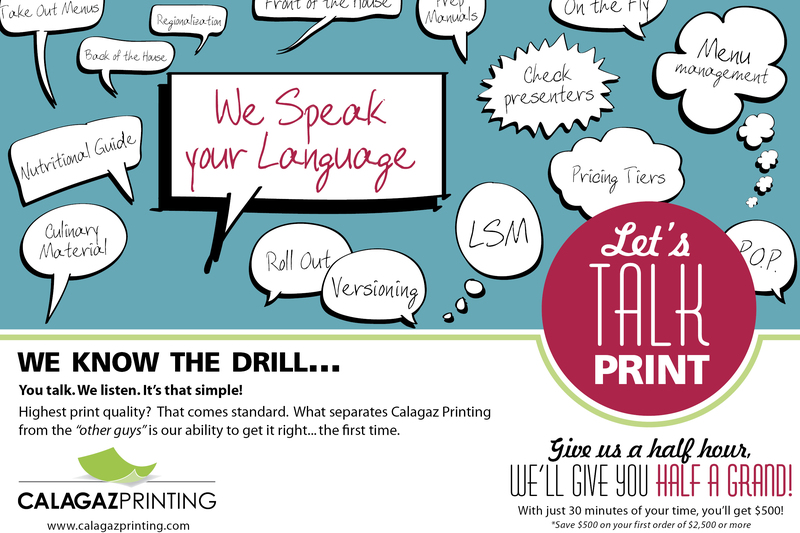 Let’s talk print…Give us a half hour, we’ll give you half a grand on your first order! Over the years we have found that our restaurant customers needs are as unique and diverse as the food they serve. This is why we invest the time and effort in getting to know “your” restaurant and the specific challenges you face. It has been our experience that if we understand your needs then we can better serve you. Our company has a long history of serving national restaurant customers and has been built specifically to address the day to day challenges with running a multi-unit geographically disperse organization.